The sun rises on the lively and rhythmic, “Jabulani”, immediately unveiling a colorful world of exhilarating beauty and warmth, as the yodeling voices of Yushu children weave around Miriam Stockely singing in the South African Zulu language. “Love Knows the Way” ensues with Richard and Miriam singing both English lyrics and phonetic vocalese, as Kimba Arem lends Australian didgeridoo throughout. 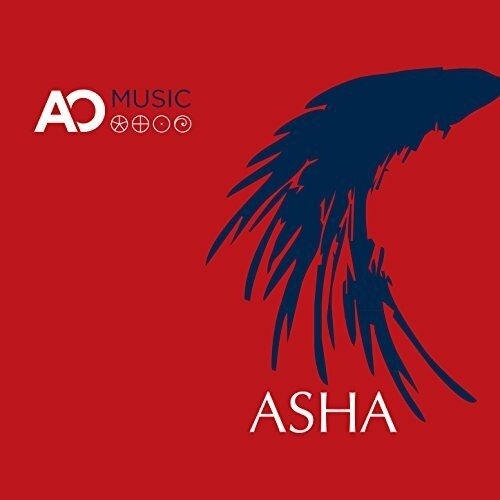 Integrating many ethno-tribal elements, this hazily melodic composition evokes images of driving through the outback, or on a safari, all while taking in the beauty of surrounding nature and wildlife. Following next is the mesmerizing, “The Wildest Dream”, a folksier tune that features Ashwin Srinivasan on Indian flute, as well as Vladiswar Nadishana on jaw harp and Hang-hand pans. Miriam gently sings a simple, soothing melody in English with a couple of lines in Gaelic, as glinting synth sounds mimic twinkling stars over gathering performers around a desert campfire. One of my favorite pieces on the album is “Quixote”, which features Mark Holland on Native American flute in addition to Richard, Miriam and David Leflar on vocals. Impressively showcasing an eclectic integration of complementary elements, I’m somewhat reminded of certain works by Peter Gabriel, a comparison further noted by the song's crooning, earthy vocal style. Following up this outstanding offering is the equally enthralling, “Gael Medley”, which as its name suggests, emphasizes a notably Celtic flair. Here, banjo, flute and Irish bouzouki accompany Miriam’s phonetically beautiful vocalese, collectively painting rural scenery of horses running free in an open field. Picking up the pace a notch towards the latter part, the piece transitions into the spirited rhythm of a traditional Irish step dance. Perhaps the most riveting moment on the album is the captivatingly serene, “Though We Are Here Now”. Featuring Julie Fowlis on vocals, she sings lyrics adapted from a poem taken from the Translations of the Gaelic Society of Inverness in traditional Scottish Gaelic. Jay Oliver provides acoustic piano and string arrangement throughout, while Tim Lorsch lends violin and Neal Merrick Blackwood plays Native American frame drum. Exuding an inexplicable depth in its simplicity, the middle of the piece slips into an ambient suspension with singing birds accompanied by Miriam’s ethereally layered vocals. At this pinnacle moment on the album, an aerial view of earth being restored to its original state of glory and wholeness is seemingly transferred, until gently reverting to the initial acoustic and vocal melody that ultimately culminates in a profoundly touching encounter. The familiar names of award-winning duo Al Jewer and Andy Mitran appear on the next piece, “The Inbound Trail”, with Al lending his signature Native American flute while Andy plays the kalimba and metallic tongue drums throughout. 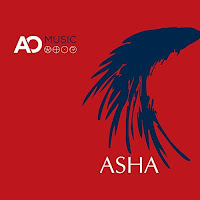 Closing out the album is the more subtly ethno-ambient title track, “Asha”, a piece gently guided by improvisational flute, piano, and Native American frame drum. Here the sun has set upon the earth and every tender creature, as a euphonious tribal chorus provided by Emily Tessmer, Miriam and Richard seemingly lull the world to sleep. This review was originally published on Journeyscapes Radio on 03/28/17. 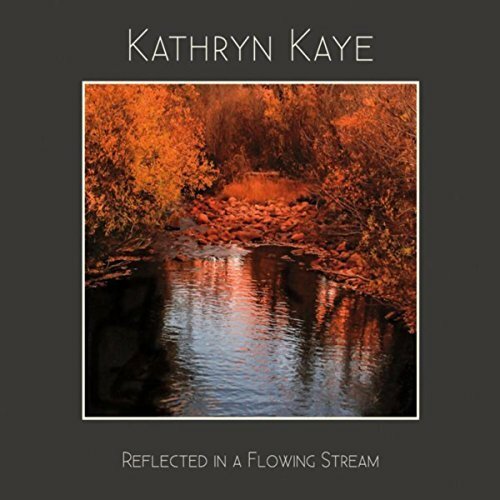 Reflected in a Flowing Stream is the sixth full-length album from notably accomplished and award-winning pianist-composer, Kathryn Kaye. 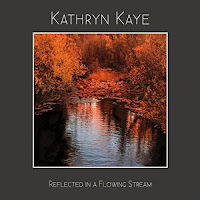 Co-produced by Windham Hill Records founder Will Ackerman, Tom Eaton and herself, Kathryn’s latest release was recorded at Will’s Imaginary Road Studios in Vermont, as well as mixed and mastered by Tom. Comprised of eleven compositions spanning fifty-five minutes, a talented team of guest musicians are variably featured throughout, of which includes Eugene Friesen on cello, Charlie Bisharat on violin, Tony Levin on bass, Jeff Oster on flugelhorn, Jill Haley on English horn, Jeff Haynes on percussion, Tom Eaton on accordion, and Will Ackerman on guitar. As always, the most visually suited cover artwork was chosen to represent her album, with this one perfectly capturing a gentle repose, observant of nature and the seasonal cycles of the year. “A Lark in the Last Night of Day” offers a gently spirited solo piano introduction with notable classical touches, delicately alternating between drifty notes and bubbling, flowing key strokes. Capturing a sense of nostalgia seemingly reflective upon the past, an allusion to the end of a season is conveyed, as further indicated by the title of the next piece, “As Seasons Change”. Here, a solemn touch of cello is accompanied by bass, preceding a lovely piano melody that becomes more formidable, yet remains ever graceful, before softly winding down again. The next composition, “Procession of Moon and Stars”, is likewise aptly-named, as it moves along in a procession-like manner with a marching stanza in the lower registers. Alternating between major and minor chord shifts throughout its main melodic riff, this exquisite number is further enhanced by accordion and cello, as the caressing sound of flugelhorn lends an interval of dreaminess. Bookended by sparse piano notes, “The Stillness Before Dawn” ensues, while a more clearly defined melody exchanges subtle gestures with English horn nestled in-between. Noticeably brightening up the mood is “No Reason Not to Dance”, an optimistically lively, moderately-paced ensemble piece joined by accordion, bass, percussion and violin. I’m especially fond of the closing piece, “Arctic Night”, which is likewise accompanied by cello and bass. As if having saved the best for last, this mysterious number beautifully paints a nocturnal landscape, while brooding minor chords softly cast a shadow upon cascading influxes of improvisational piano throughout.